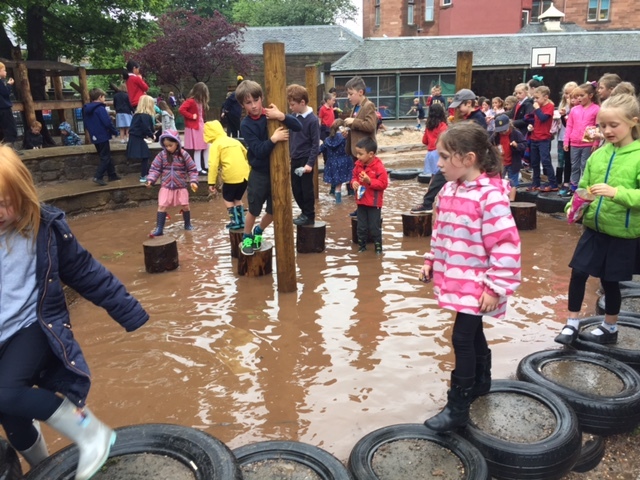 We are so fortunate to have such an amazing outdoor space, for play and for learning. 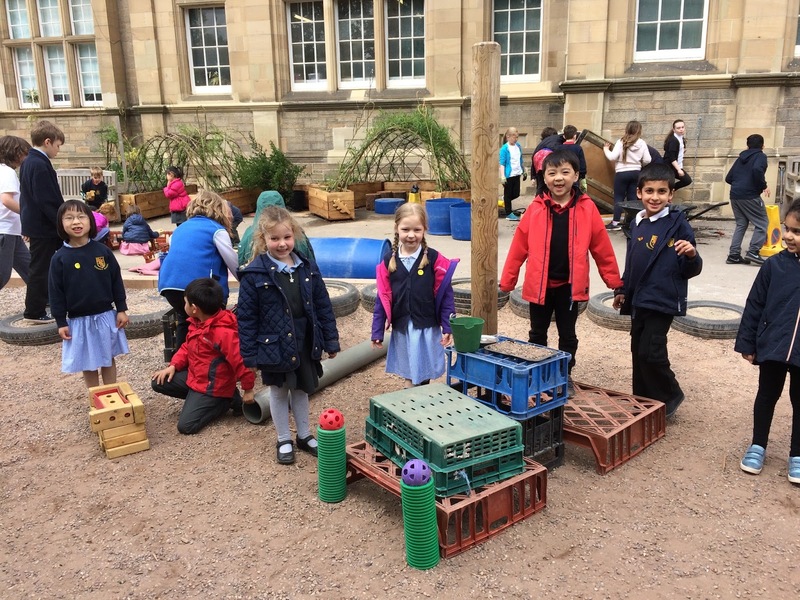 Here is a glimpse of the myriad ways we have used our fantastic playground to enhance the learning experiences of all our pupils. 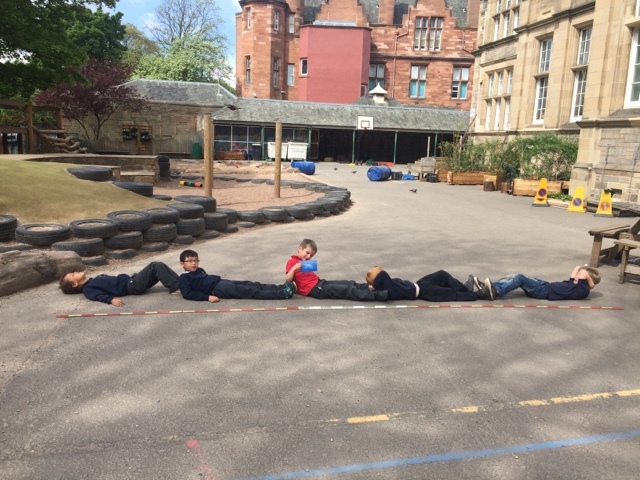 Many thanks to Mrs Crawford for bringing along her slackline today. 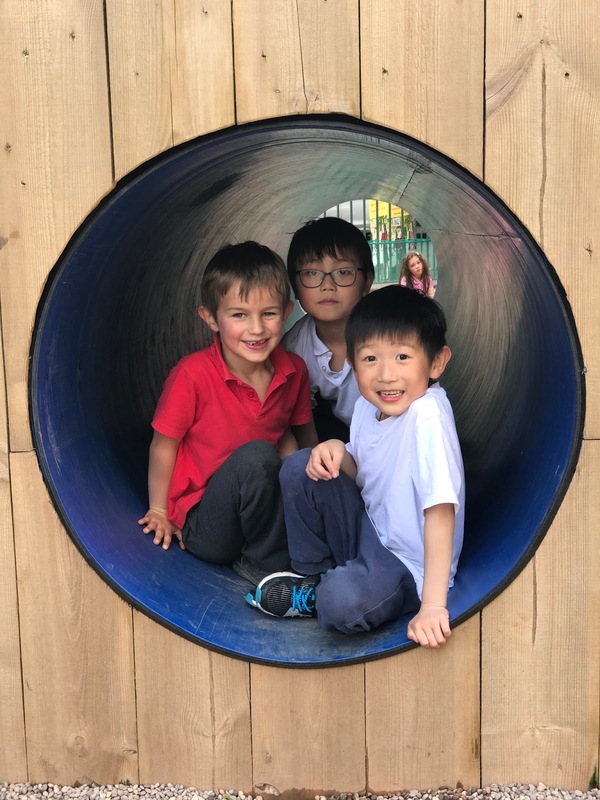 This review of 2015-2016 (below) captures just a glimpse of some of the many ways our new playground has been utillised throughout the year by all classes to enhance quality learning and teaching and play, since it opened in August 2015 on the first day of the school year. 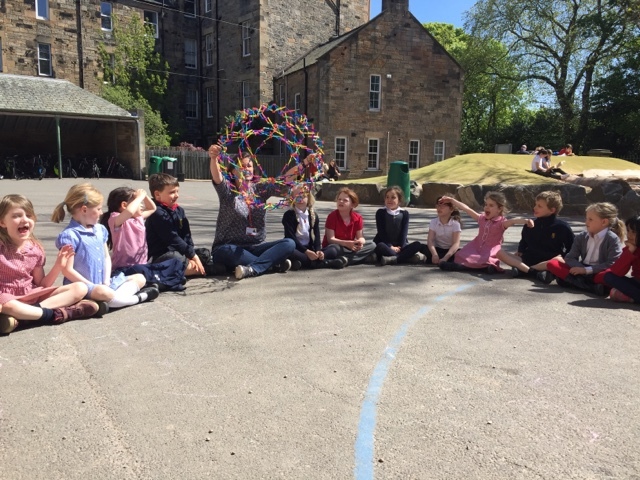 Thank you to the entire Sciennes community who supported us in providing such a transformational learning space for our children. What a beautiful surprise greeted us this morning. 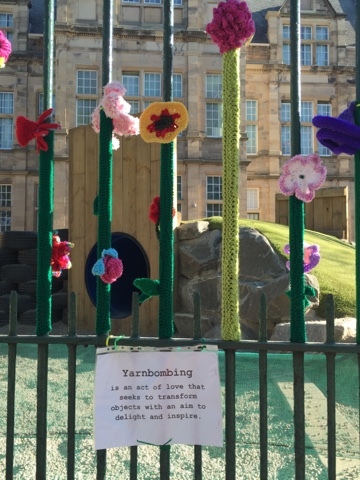 A huge big thank you to our secret knitters. 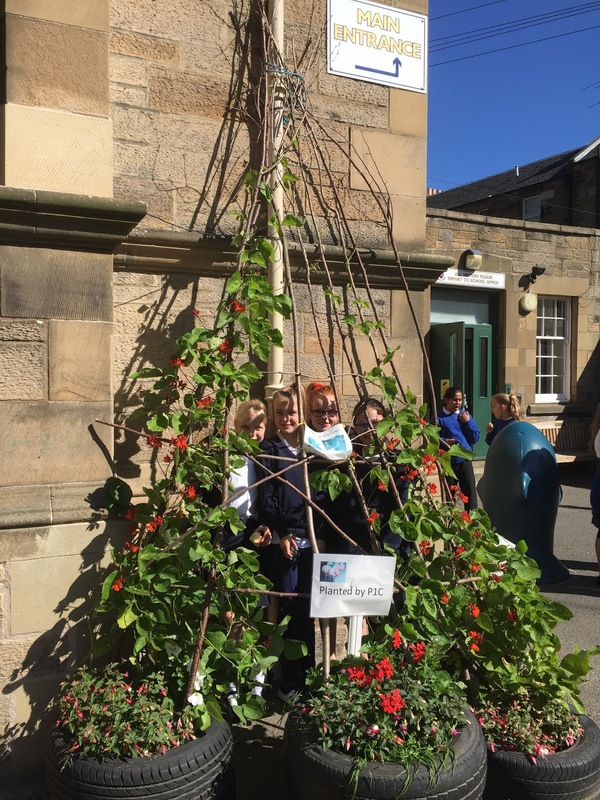 This is our fabulous runner bean frame. 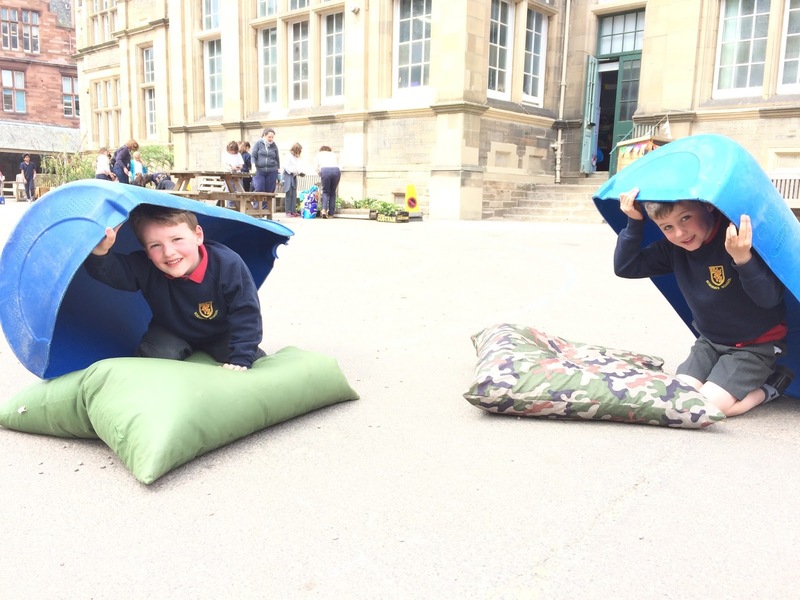 Funding Win for Nature Strip Playspace! 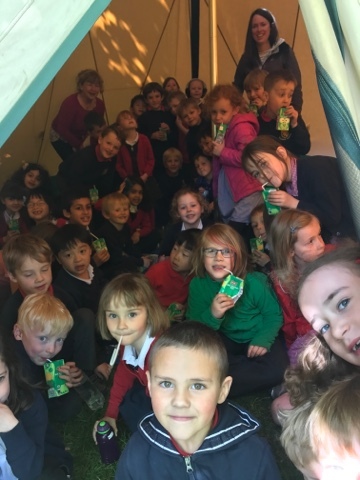 Thank you very much from all at Sciennes to parent Colin Sim for all his efforts in this successful application for funding. 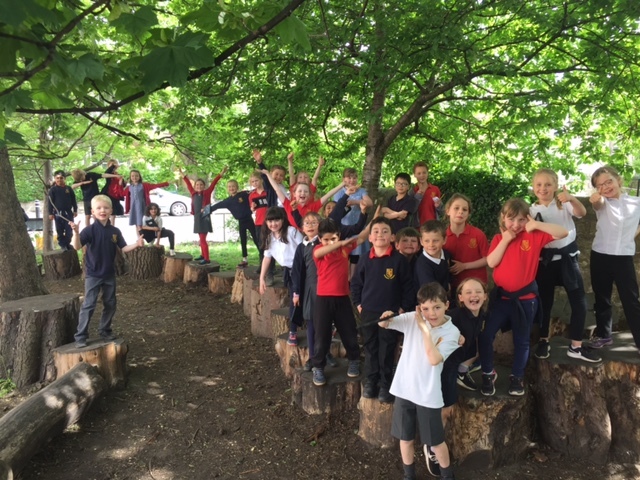 We are delighted to let you know that we have won funding that will let us further extend the play area in the nature strip opposite the school. 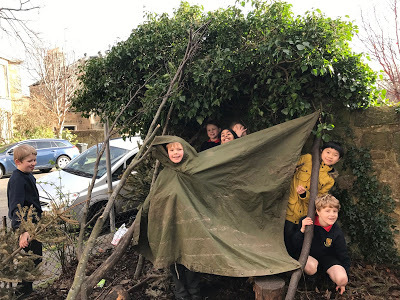 The money will let us build a willow tunnel structure in the grassy area of the nature strip, next to where the natural play area was built last summer. 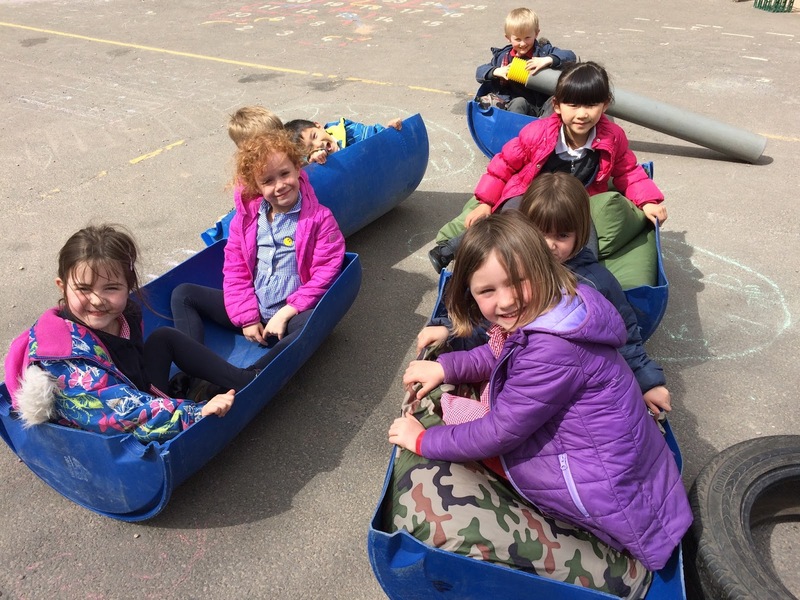 This will provide an exciting learning opportunity for children – from growing the willow to using it as an adventure play area. 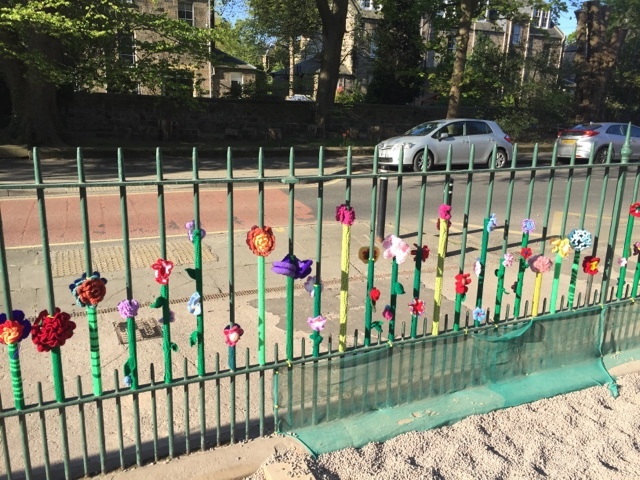 The new feature will also be open for our local community to use, in the same way as the nature strip play space is just now. 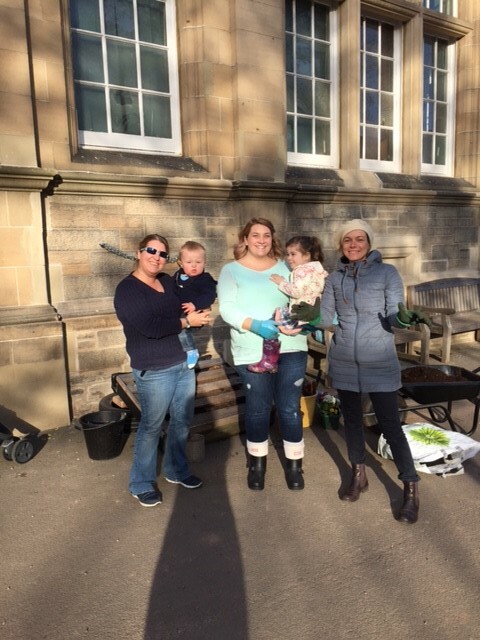 The Friends of Sciennes School, our registered charity, won £2,310 of funding thanks to the support of our local community at the South Centra£ Decides event, held on Saturday (30 April). 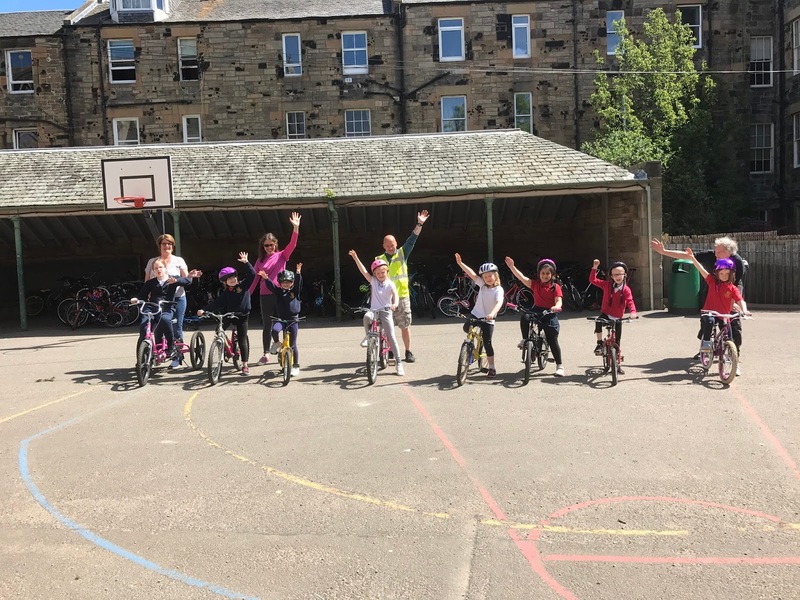 The City of Edinburgh Council’s South Central Neighbourhood Partnership ran the event. 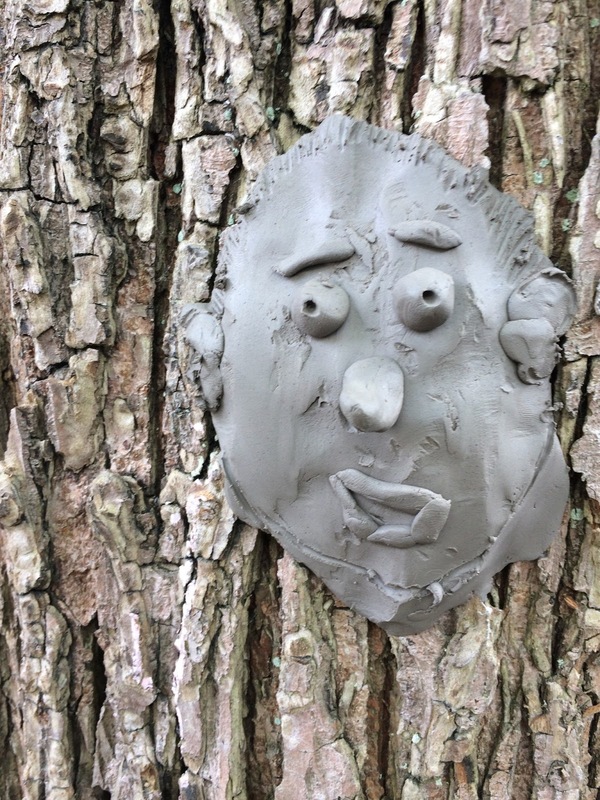 People aged over eight years old were able to vote for the projects they thought should be funded. 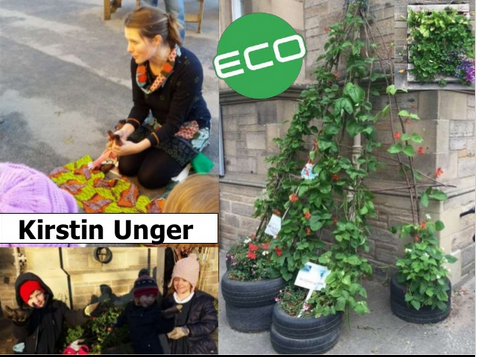 There were 21 community projects seeking funding, so local people had some hard choices to make to decide which was their favourites. 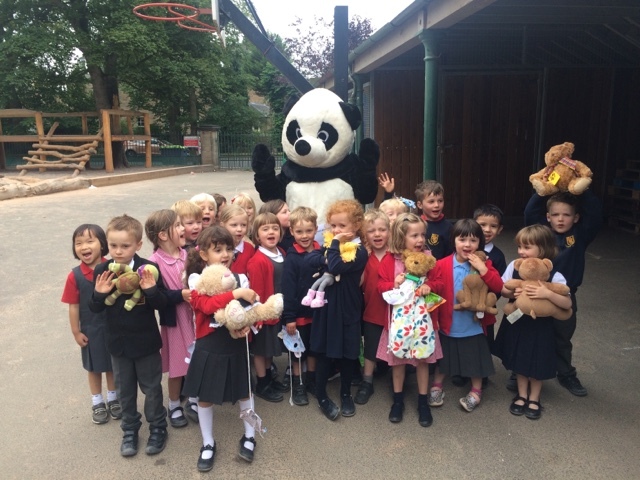 We are therefore very grateful that we were lucky enough to be one of the eleven winners. 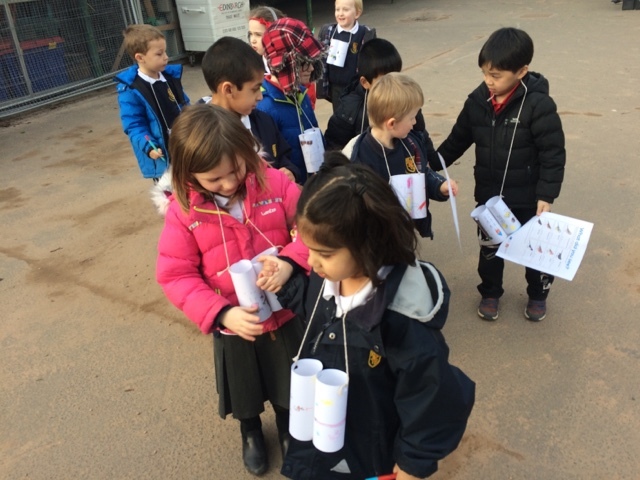 We would like to thank the many people who supported our project – from our Sciennes’ pupils and their families, to former pupils from both a few years ago to a few decades ago, together with pupils from other schools and neighbours who live close to our school. 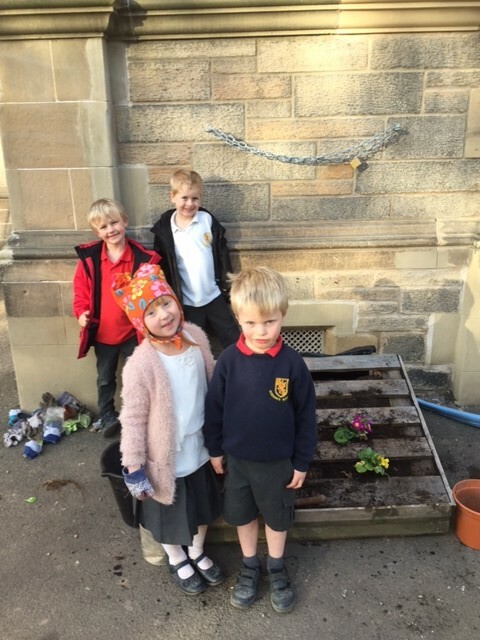 We also want to thank Diarmuid from class p1C, his parents and Angela Christie our Business Manager for their help in applying and representing our project at the event. 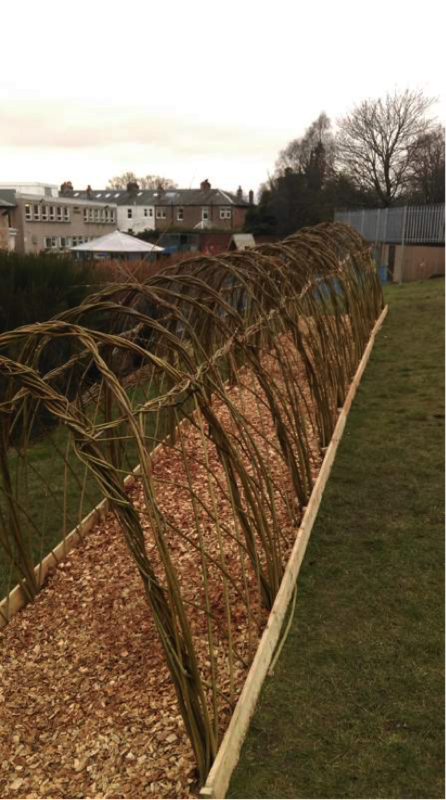 Whilst we are excited to have our new willow structure planted as early as possible, we are going to have to wait until much later in the year. Because willow should only be planted when it is out of its growing season, it is likely going to be November or December until we can have our new tunnel structure. 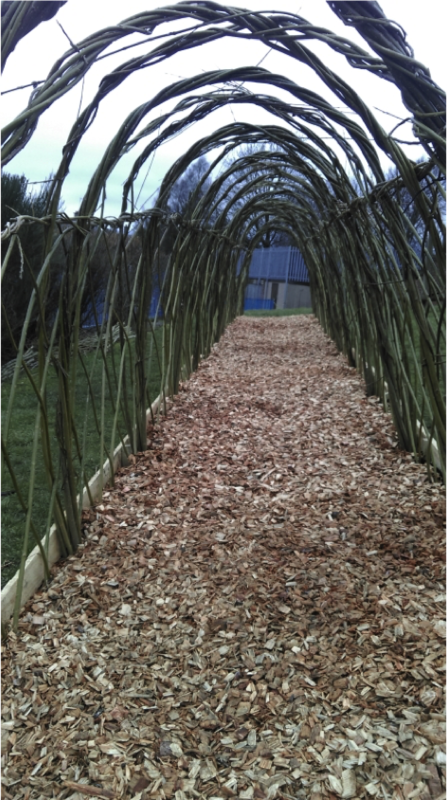 The living willow tunnel should form a leafy den and shady play area. 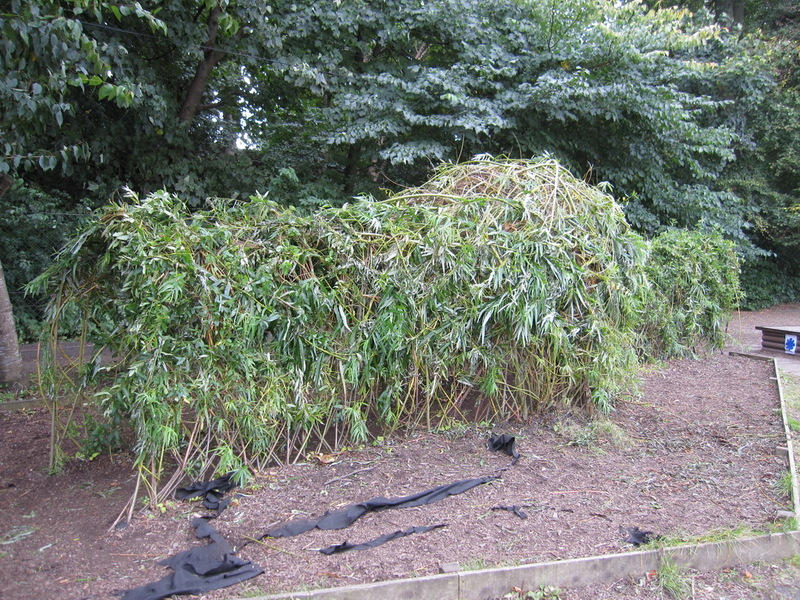 When first planted, and during winter, willow looks like lifeless flexible stems, but will grow quickly into a leafy green structure. 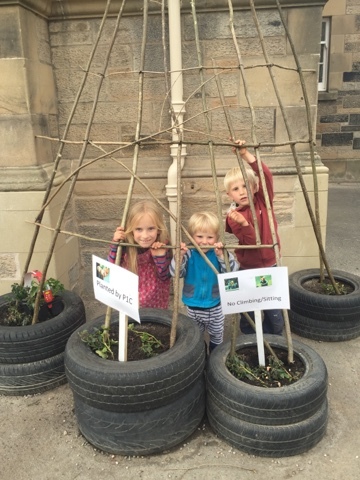 A number of primary schools have been successfully growing willow tunnels in their playgrounds. You can see some examples in photographs below. 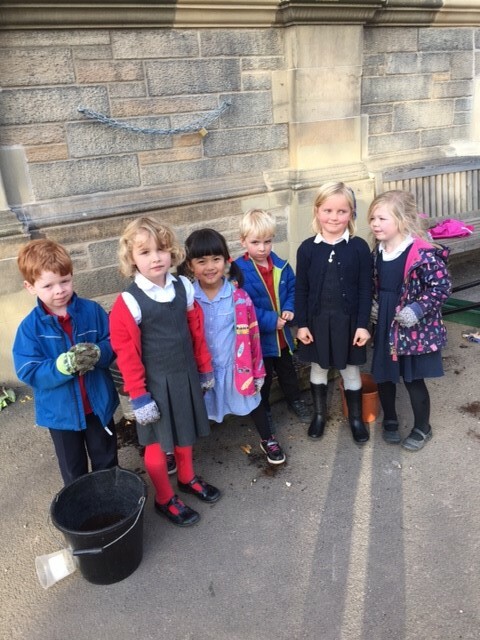 We will of course keep you updated on our planting plans and look forward to our children enjoying another development of our playground. 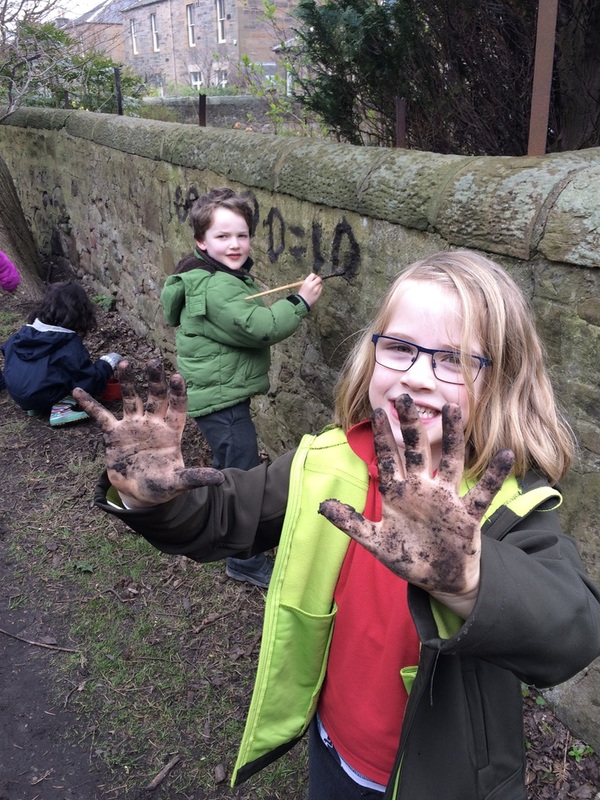 Can you help us to win funding for more playspace in the nature strip? 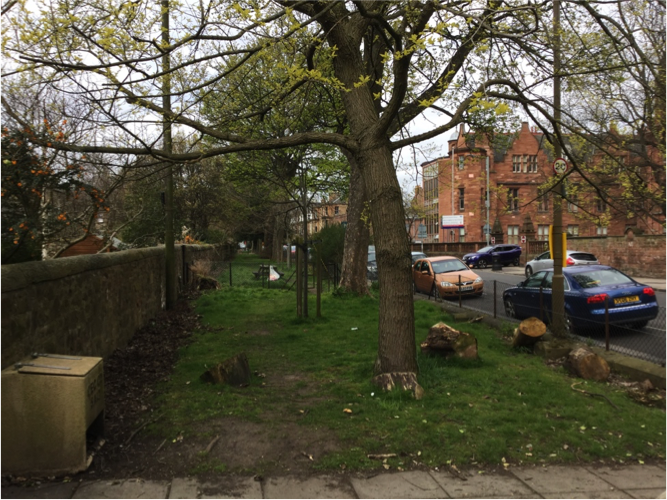 Anyone aged over eight has the chance THIS Saturday (30 April) to help us win funding to further extend the play area in the nature strip opposite the school. 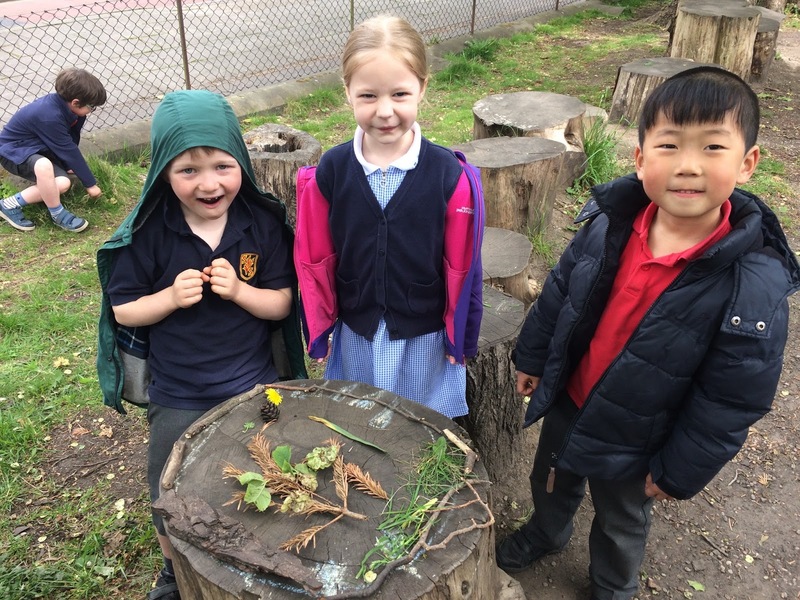 We are trying to get £2,310 of funding to build a willow structure in the grassy area of the nature strip, next to where the natural play area was built last summer. 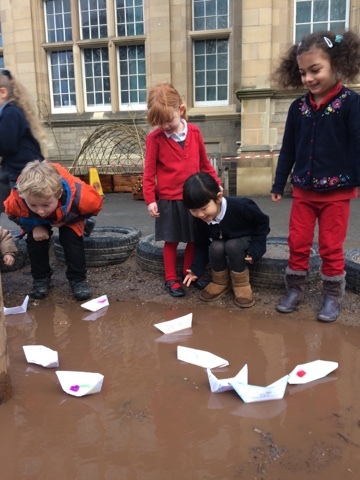 This would provide an exciting learning opportunity for children – both at Sciennes and from the community – to experience different natural environments, the excitement of walking, bending, crawling and creating imaginary spaces. 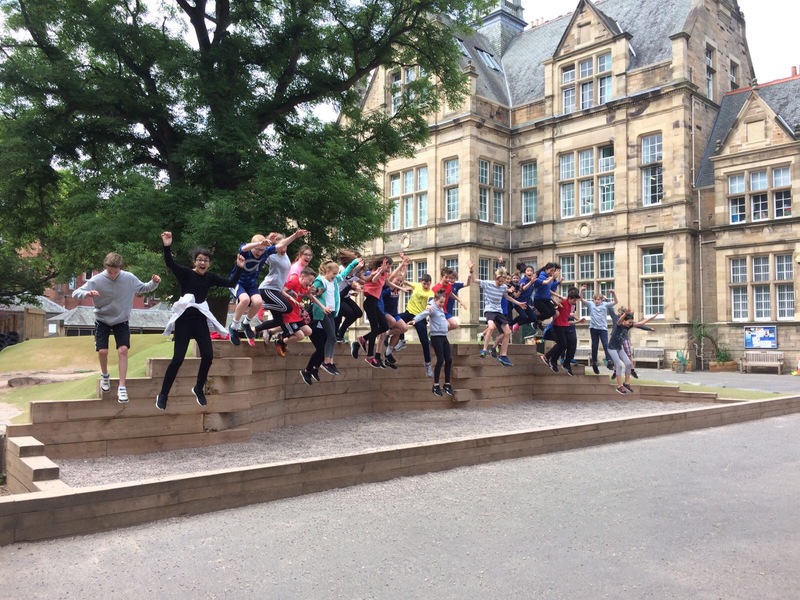 The funding would come from the City of Edinburgh Council’s South Central Neighbourhood Partnership – which covers a diverse area of the city from roughly Dumbiedykes to the Braids east/west and the Festival Theatre to Cameron Toll, north/south. 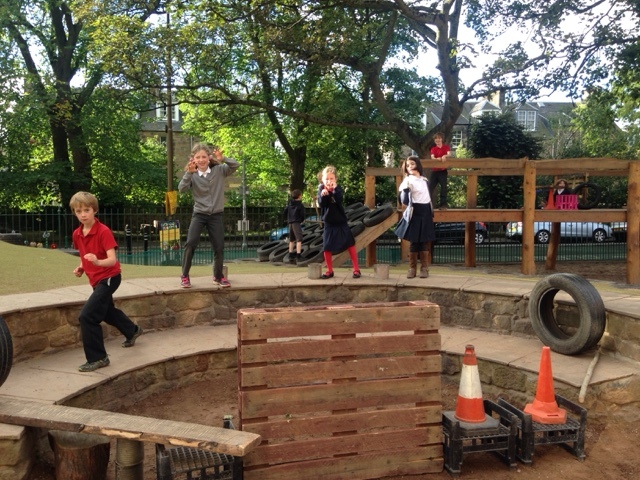 The neighbourhood partnership has previously helped Sciennes, through a funding grant for our new playground. South Centra£ Decides is an event on Saturday 30 April from 11am to 3pm where residents of South Central, are asked to Voice your Choiceand decide which projects get funding from three different pots covering community grants as well as housing and roads. 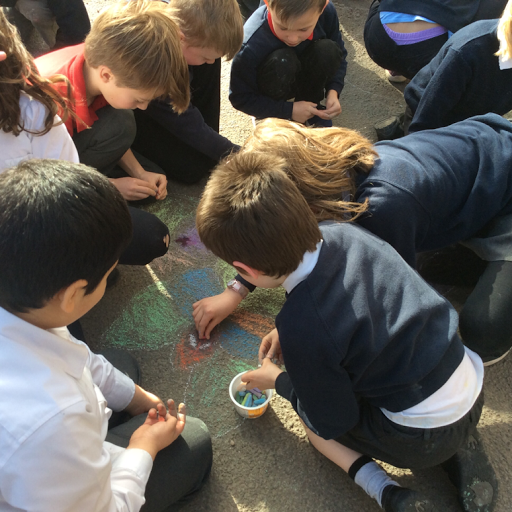 This type of approach is known at Participatory Budgeting or PB as it is often known as – it’s a system where local people decide on local money. This is the first time this system has been used in the area, although it has been a success in others areas of Edinburgh. 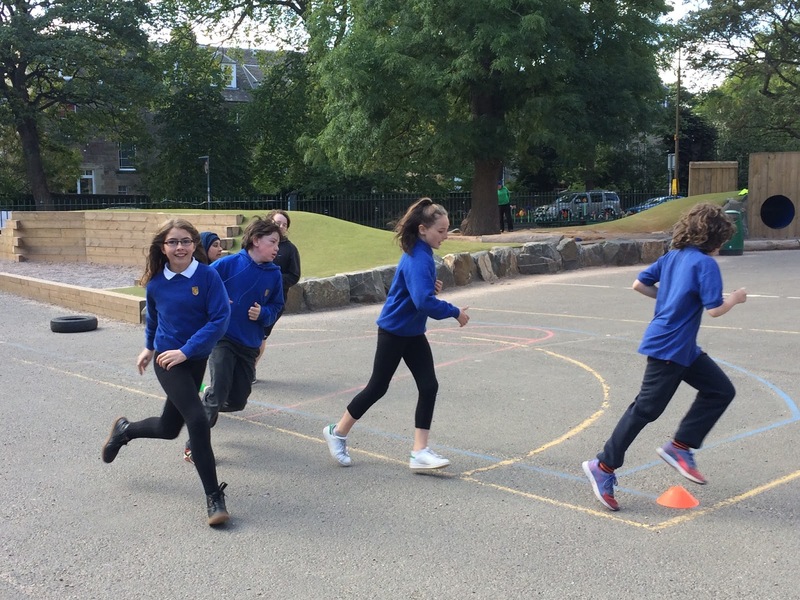 Sciennes is one of 22 community projects seeking funding. Details of all the projects will be at the event and people are asked to score every project. Those with the highest scores will then be awarded funding. (Please note that a voter has to score each project – you cannot just come to the event and vote for one). 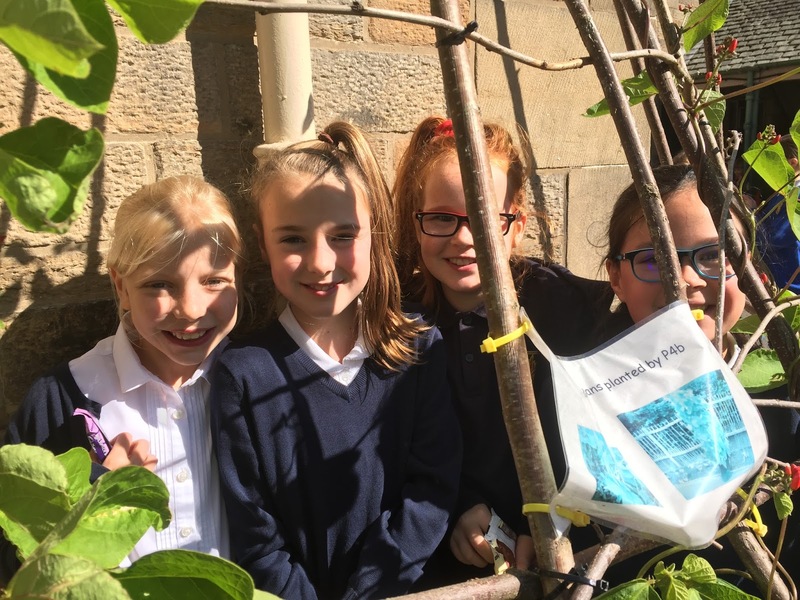 We would welcome support from Sciennes pupils, parents, carers and the wider Sciennes family if you are able to attend the event and give our project a high score vote! 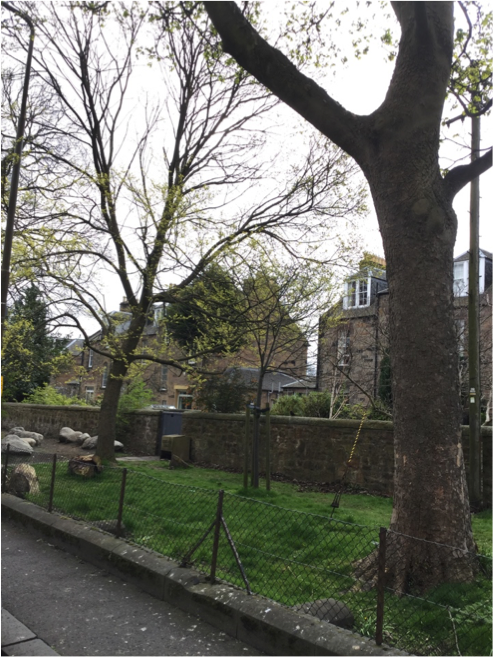 South Centra£ Decides takes place at the Methodist Church Hall, 25 Nicolson Square (near to the Festival Theatre) from 11am-3pm next Saturday. 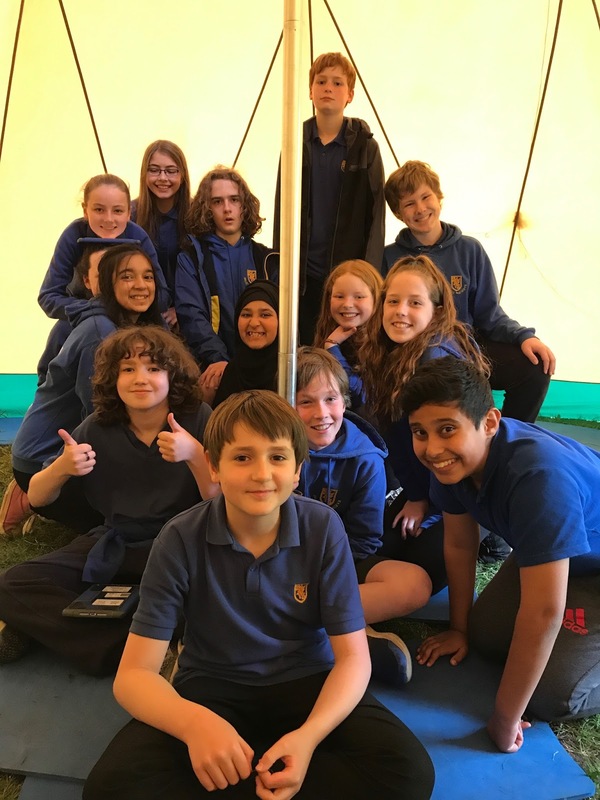 Further information on the event and projects to be considered is available on the neighbourhood partnership’s website as well as at the event. 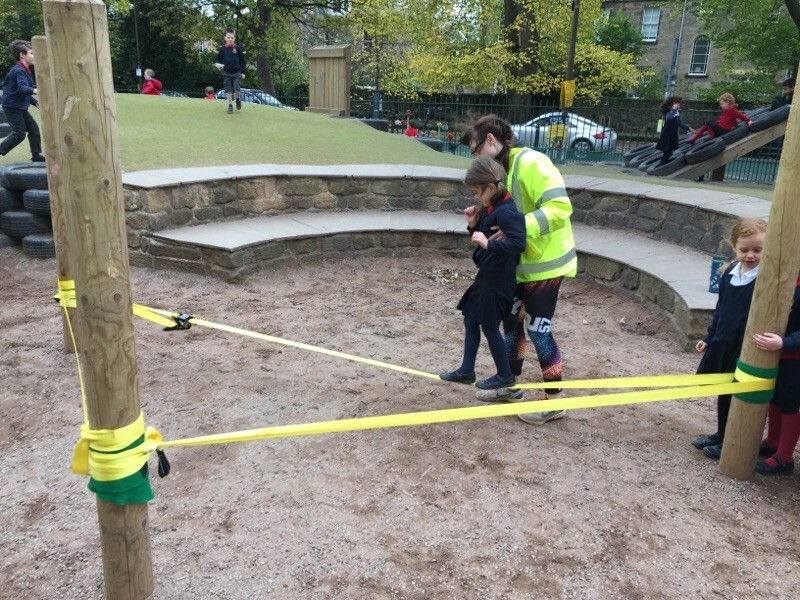 The playground development has been the subject of a series of inspections and improvements over the last few months. 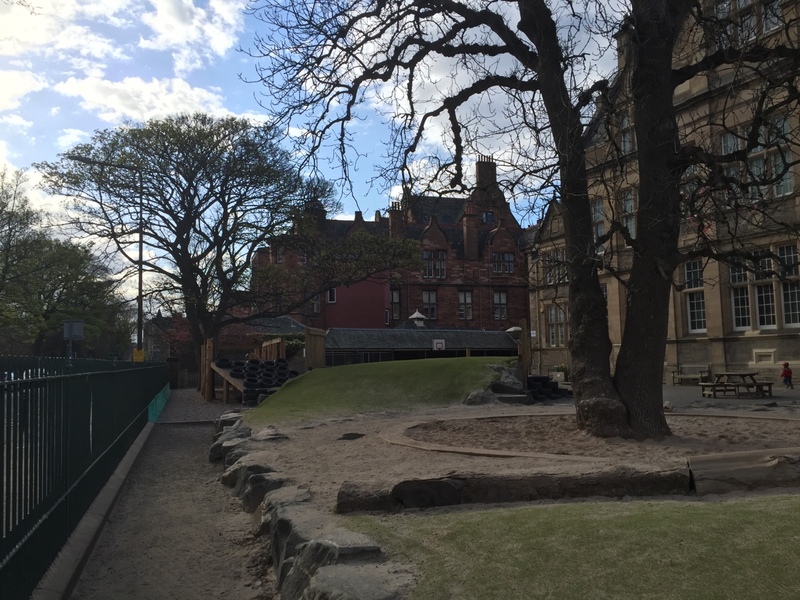 Following the inspection in February by David Yearley from ROSPA, work was undertaken to reduce all risks to a tolerable level. 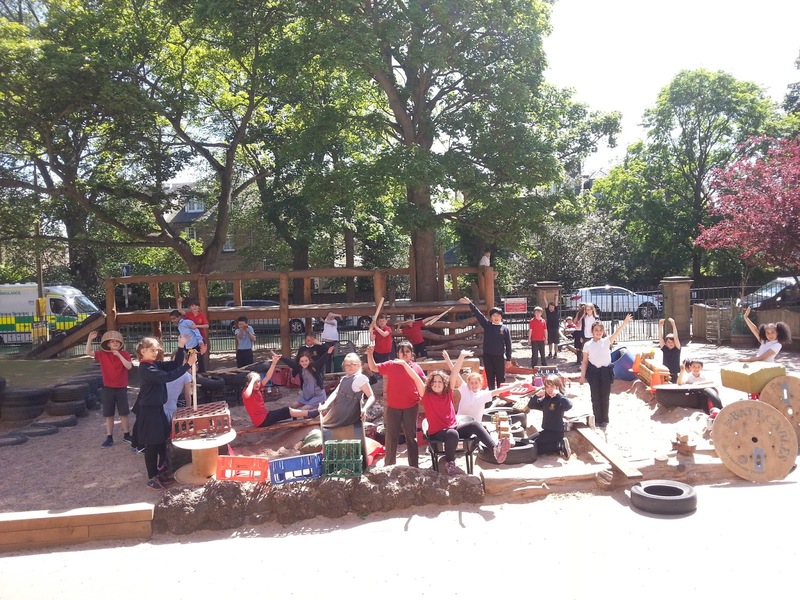 David has since inspected the work undertaken and I am pleased to report that he has reported that all the work undertaken has improved the playground development and the risk ratings are confirmed as low or a tolerable medium. 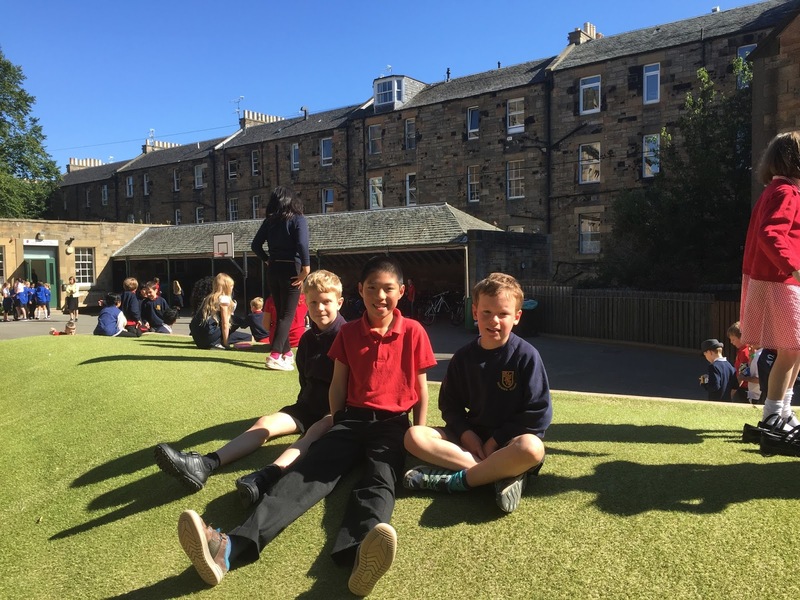 We informed pupils at Assemblies this morning that the cones will be removed today, so our playground will be open fully on Monday 25th April.